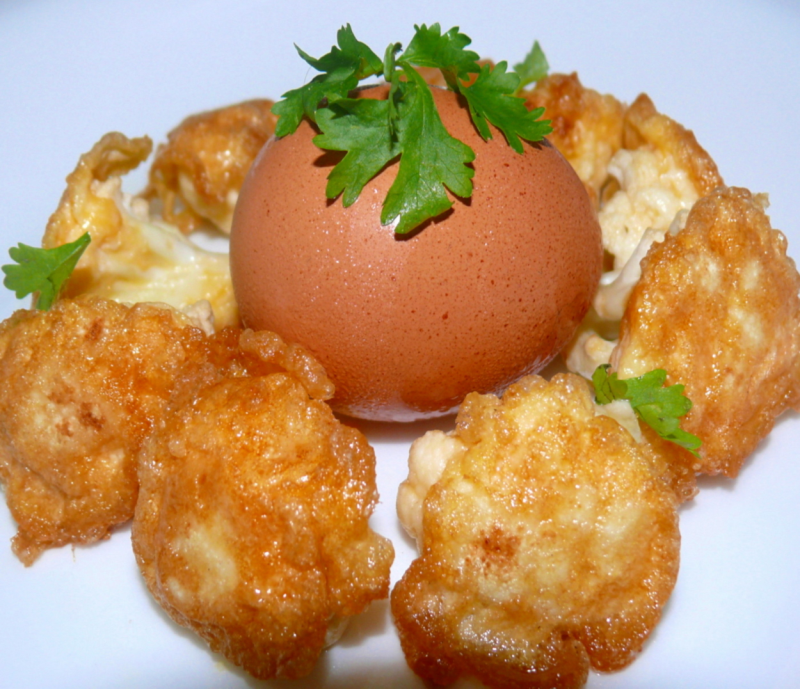 Cauliflower florets are delicately fried with egg and spices.Very tasty recipe,taught by my Mother In Law Mrs.Creda Issac.I dedicate this one to her.This recipe can be done in 7 mins and also be served as a starter. Boil 5 cups of water and put 2 tsp chilli powder ,1 tsp salt and 1 tsp turmeric powder.Turn off the fire. Add pepper powder and 1 tsp salt to the beaten egg mixture. mix that well. Heat oil in a kadai and dip all the cauliflower florets in beaten egg-mixture and shallow-fry them on both sides till they turn golden brown. Serve them with tomato-ketchup or rice and sambar. Hi Amit!.Thank u so much for trying this recipe and the feedback.